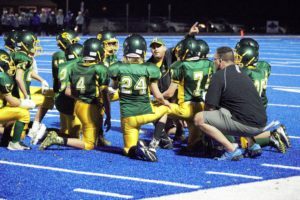 Selecting the right coaching staff is crucial for success in youth football. It is important that head coaches trust and get alone with all of their assistant coaches. When I have an open coaching position, I try not to take just any parent off of the sidelines. Here is a list of things to keep in mind when selecting assistant coaches. Do they have a kid on the team? I try to avoid having more than one coach with a kid or relative on the team when selecting my coaching staff. I do not care what anyone says, there will always be bias towards their kid. Some coaches keep it to themselves and some come straight out and cause problems. Make sure you do research on any potential coach joining your staff. Research means ask other coaches that know or have coached with him to see if there is anything you can dig up. You can also talk to the parents of previous players he coached. Many times a youth football player will talk to their parents and will tell them know which coaches they like and which ones they do not like. I am one of the few coaches that does not have a kid or family member on the team I coach. Here is one better, my assistant head coach/D-coordinator, special team’s coordinator, and my O/D-Line coach do not have kids one the team either. I am lucky that I have guys that do not have kids on the team and have stayed with me for a long time. Long story short, be very careful which coaches you select. Bad ones can make your season a nightmare. I am not saying all daddy coaches are bad or bias, but remember this- when things are not going well, true colors will reveal themselves. Do they have coaching experience? When selecting additional assistants I look for coaching experience. 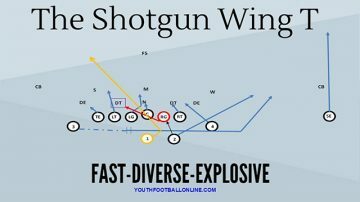 Not so much high school, or college coaching experience, but youth football coaching experience. Youth football is an entirely different beast. It is important that the potential coach has experience with kids. Bring in some young coaches! I love bringing in some high school players or players I coached in the past. The kids will sometimes respond more so to the younger, more energetic coaches. The kids will look up to them and really relate to them. Having some young coaches will bring some energy to the team. They will usually be more hyped up and enthusiastic. When you have coaches that are excited to be there, then the players will be excited to be there. This is for my head coaches out there. Make sure all your coaches are on the same page. Make sure they understand the team philosophy and rules. It is the head coach’s job to manage the kids and the coaches as well. Make sure you set the tone with all the coaches and they understand what is expected of them. It is vital that all coaches act with professionalism at all times, regardless of situation. Always lead by positive example. Give coaches responsibility and listen. Football is the ultimate team sport and that applies to the coaches as well.